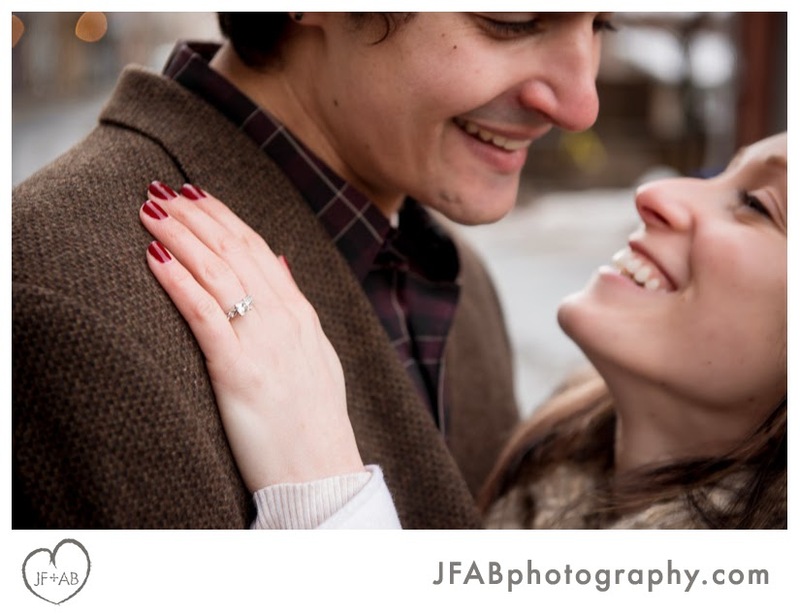 JF + AB Photography Blog: Kara and Zach | Engaged! 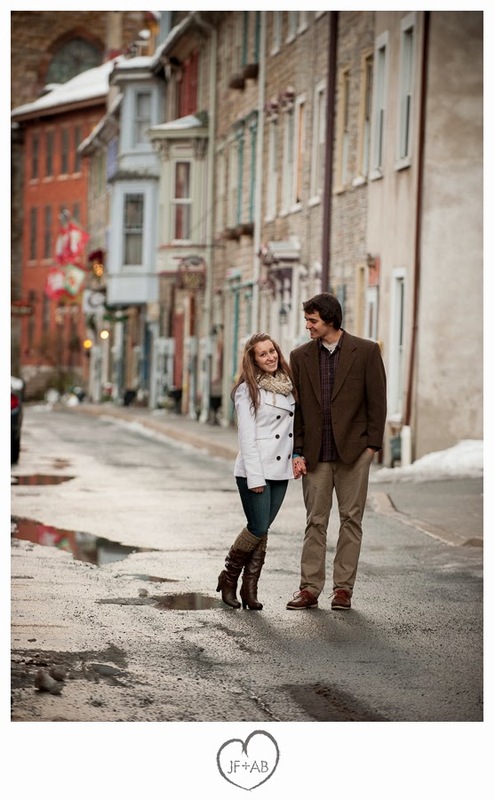 Kara and Zach | Engaged! 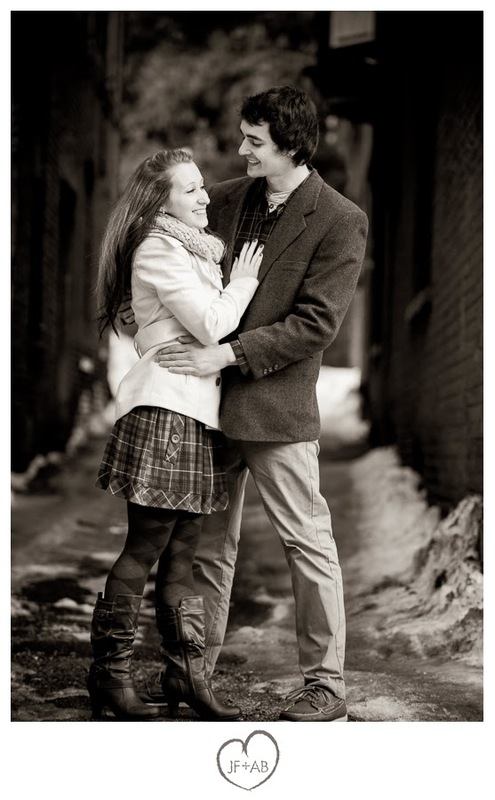 Although Kara and Zach are now somewhat local, they had to go all the way to Ohio to meet for the first time. 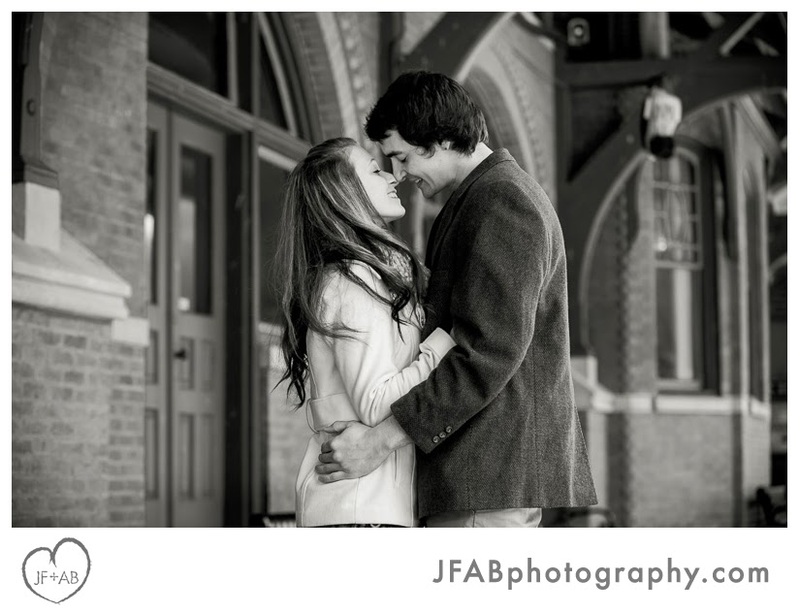 This very sweet couple have a lot in common, including a shared interest in photography. 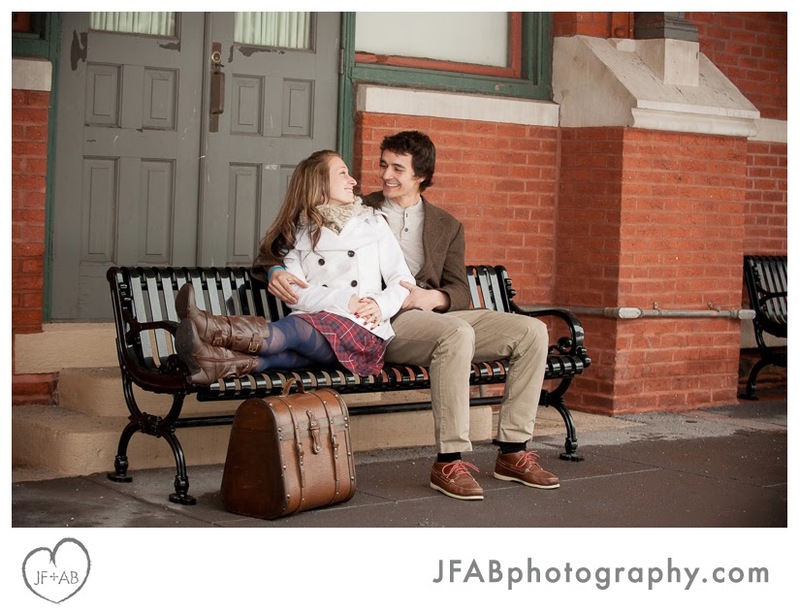 They came to the session with a cool old suit case that made for an interesting prop at the train station. 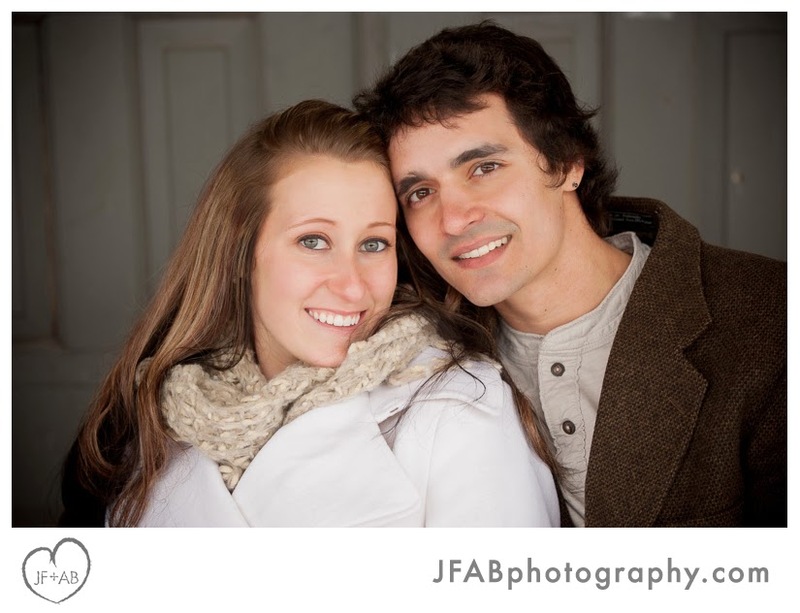 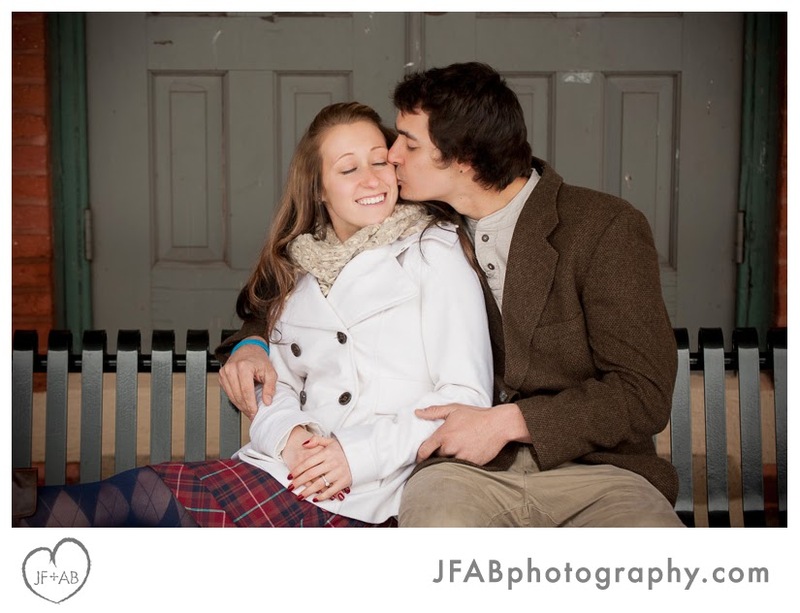 We are so glad they found us and we're looking forward to shooting their big day later this spring! 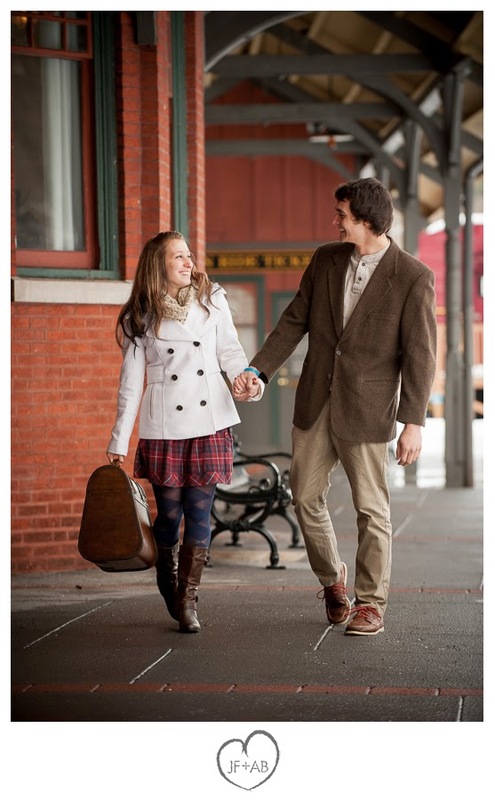 Scroll on to check out some of our favorite photos from the session.